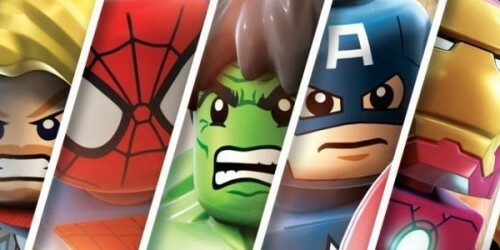 As the resident “LEGO Video Game Reviewer” here at MyMac.com, it’s my job to review all the new LEGO video games that come out on the Mac. The best part? They are some of my favorite games. The problem? I usually already own the game on the Play Station months before it is released on the Mac. But that’s okay, I will suffer through playing again for the sake of our readers. 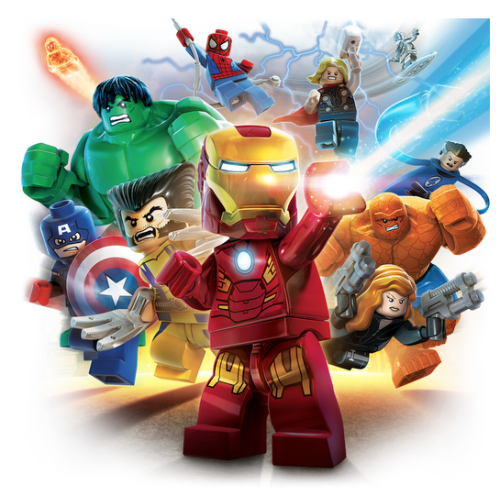 It was only last October that I purchased LEGO Marvel Super Heroes for the PS3, and then played about ten minutes of it before my six year old son took over. I never got the controller back again. We are a big LEGO video game loving family, and have purchased each and every one to date. There have been many, almost all of which are based on another company’s property: Indiana Jones, Star Wars, Harry Potter, and the list goes on. (I really would love to see a Back to the Future or a Ghost Busters LEGO game!) The one that has gotten the most play in our household would have to be LEGO Batman. Both of them, actually, as there are two versions. Super Heroes and young kids go together like peanut butter and jelly. But as much as my kids love the DC heroes, they like the Marvel heroes even more. (They get that from me.) So when this game came out last October, it was a purchase on Day One for us. And like I said, I didn’t get to play it much. 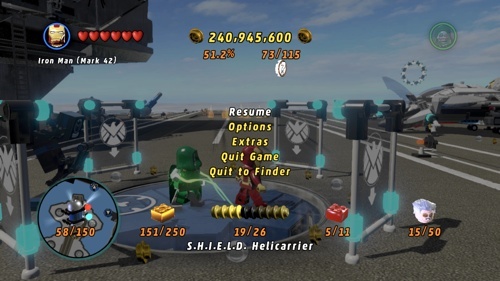 Times have changed, and the LEGO Marvel Super Heroes for the Mac is all mine. When I am playing it, my son wants to take over. I simply point to the PS3 and tell him to play his own copy of the game. Until I get stuck doing something ten minutes later and I am asking him how to do this or that, and which point he really just wants to take the controller away from me and do it himself. When did those rolls get reversed? I must be getting old. 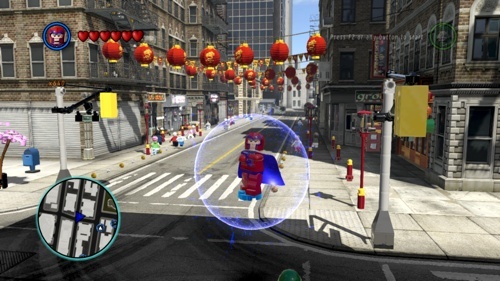 Like every other LEGO game, the time spent playing consists of breaking objects, solving fairly simple puzzles, progressing through each level as part of the main storyline, and then unlocking new characters that will allow you to replay earlier levels on “Free Play” to discover even more items, puzzles, and characters. It’s a vicious circle all who have played the LEGO games have come to love. The Avengers, Spider-Man, X-Men, Fantastic Four, Doctor Doom, Doctor Octopus, Galactus and tons more Heroes and Villains make up the playable characters in this game. And the playground, at least the main part of it, is New York City, at least the one from the comics. A semi-open world, it feels quite large when you first get to play in New York, but after a while, it feels pretty small. Smaller in feel than the open-world of Lego Lord of the Rings, and much smaller than Lego City Undercover. Does that change the nature of fun of the game? Not at all. In fact, it’s helpful for smaller or impatient kids. As an adult, I would simply like more to explore. Because I have played these LEGO games mostly on home consoles, I am used to using a game controller. For this review, rather than try and use a keyboard and mouse, which may work fine for some people but not for me, I used an older MadCatz 360-like controller. There was no set-up required at all. I plugged the USB controller into my iMac, fired up LEGO Marvel Super Heroes, and started playing. Button mapping was spot on, and it just worked. That said, for some reason, when I did want to make a change (the game Map button), it did not work. Odd, but not a big deal. You can also use a Playstation or Xbox controller, although other reviews have reported spotty problems. 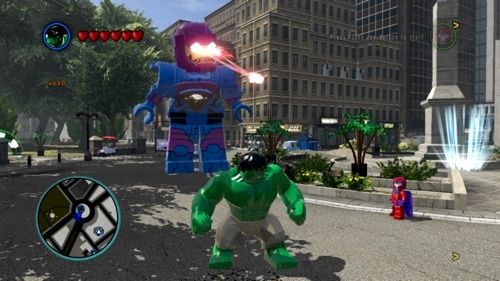 LEGO Marvel Super Heroes is technically a port from another platform. Because this game came out six months ago for almost every platform known to man, I don’t know which version they used to make the Mac version. And I don’t care, because once again Feral Interactive has done such a great job, I can’t tell that this game didn’t start as a Mac game. It’s that well done. I didn’t notice any problems whatsoever. Some other reviewers have complained about minor graphical glitches, but I did not experience any on a 2009 iMac with 12GB of RAM and an SSD. The game played flawlessly and is immensely enjoyable. The graphics are top-notch for a LEGO game, and the price is just crazy inexpensive. $29.99 is the cheapest I have seen this game to date, and is well worth your hard earned money. It’s a fun, enjoyable game almost anyone can, and will, enjoy. Requirements: OS X 10.8.5 or later. 5.95GB of free Hard Drive space.